Finally, a smartwatch that’s designed for the speed of your life. With elegant curves and premium finishes, the Samsung Gear S2 will turn heads. The intuitive circular face and bezel let you navigate effortlessly to get to what you need. And with access to important notifications at a glance, you can get more out of every moment of your day with the Samsung Gear S2. With built-in wireless charging, it’s easy to keep the Gear S2 powered up. Whether you’re at home, work or anywhere in between, you can power up by simply setting your Gear S2 on the wireless charging dock. 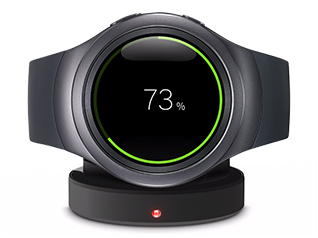 Posted in Uncategorized and tagged Gear S2, Qinsidestore, Samsung, wireless charging, wireless Charging Receiver.